we all know the situation, just booked a trip and telling it to your family and friends and the first thing they say is: “you have to bring me sth.” who did not do this experience yet. well we are sure all of us know this situation. now imagine you arrive in your destination, in our case madrid, and you think about what kind of presents you can buy. well you feel yourself somehow obligated to buy a small present, because if not we will somehow feel bad that we did not do it. normally you go inside these shops and buy a stupid thing. however, today we will stop being normal and be a little more special. 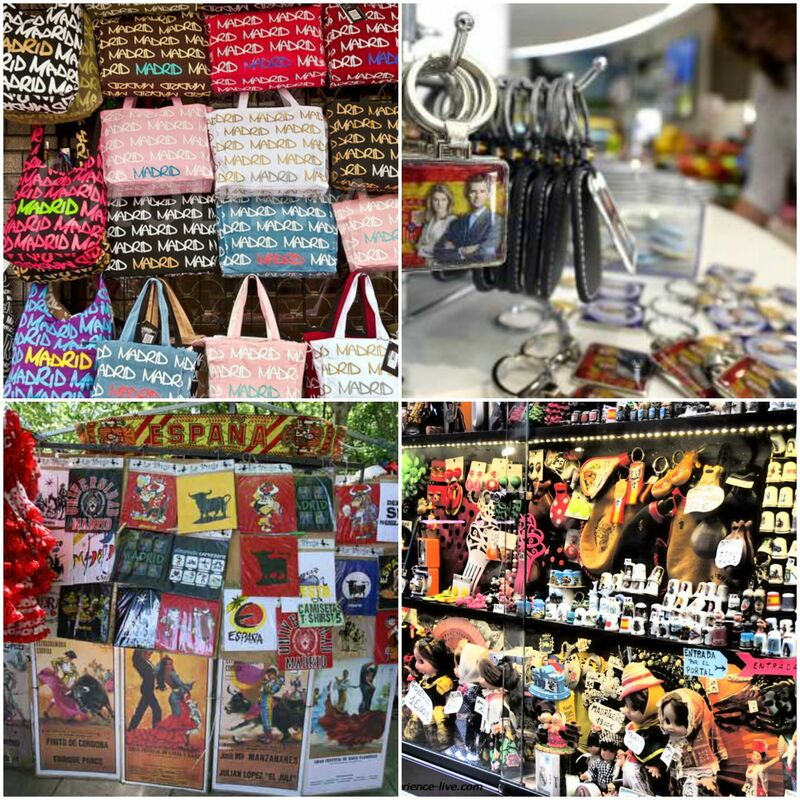 let us inform you about some old, traditional shops in madrid, where you can find traditional spanish products with a good value for money. let your loved or friend feel for just once a bit of your trip. the story of the perfumery alvarez gomez started when three cousins decided to leave their hometown, león, for searching a job in the capital of spain. they started there journey in a drugstore of a relative. when this relative decided to retire, circumstance and opportunity that the cousins took advantage of by buying it, which was a very important step for their future. 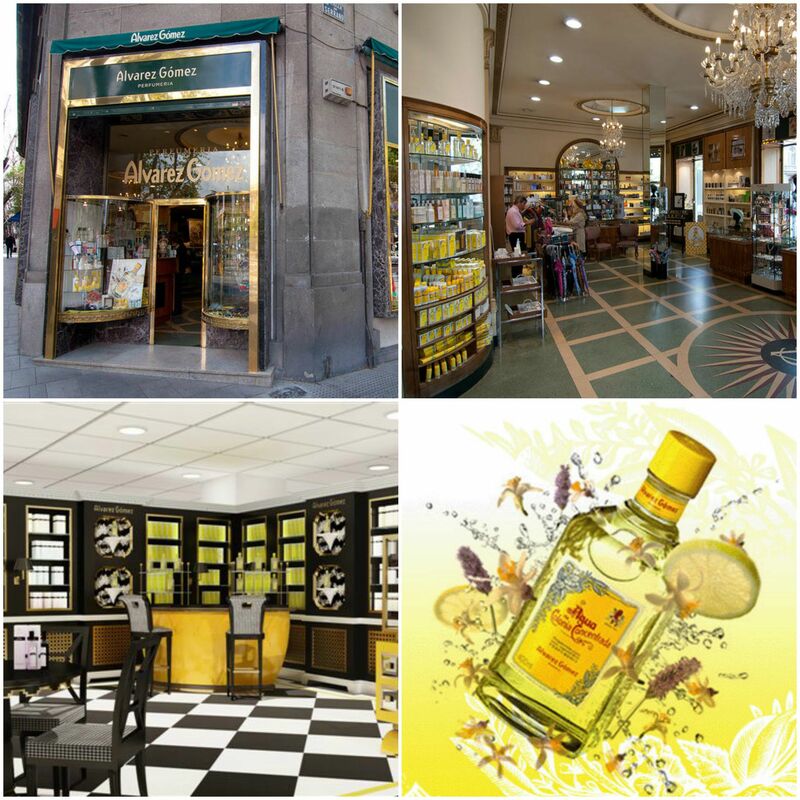 their ideas and visions made the small drugstore nowadays to a famous and popular perfumery in spain. they produce and develop own perfum. our first recommendation is to buy a small present in the perfumery and relate it with a short explanation of the history of this place. give your relatives the feeling of getting something special from a more than hundred years old store. 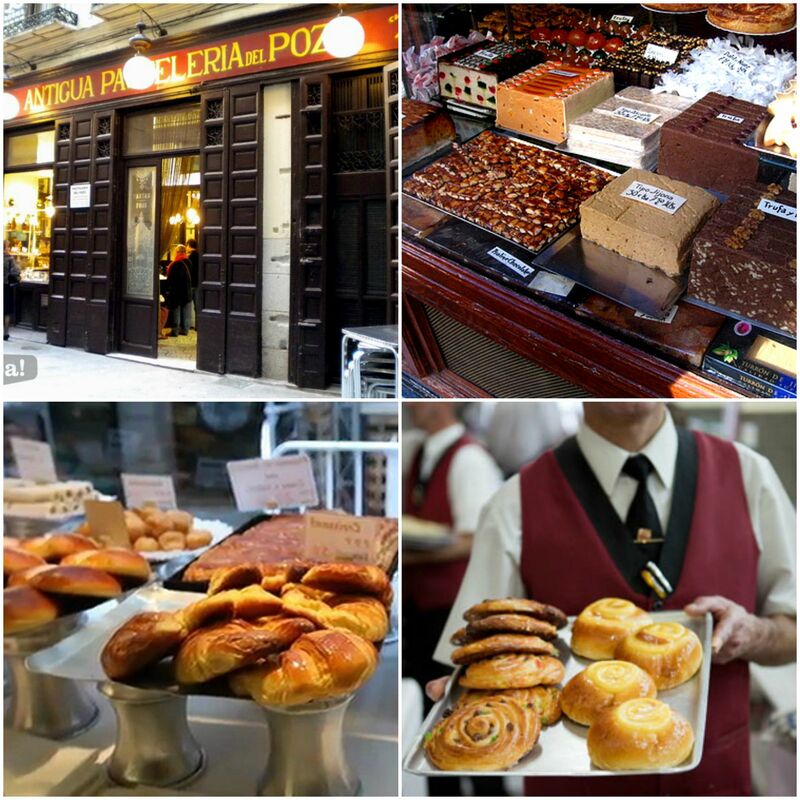 rumors are saying that this is the oldest bakery in madrid. a bakery where the sweet delights are still made in the traditional way, that means more or less completely handmade. also famous is the bakery for their roscone de reyes, a sweet delight. for enjoying this you have to make a reservation days, weeks before you visit this place as the demand is quite high. our recommendation is to visit the bakery and just try different delights, as a present you should buy a small mixed package the day before your departure. this company was founded in 1895 actually as a distellery of aniseed, liquors and syrups. over hundred years it was runed by family members til 1999 when the company closed its doors as a distellery. the new philosophy since then is to offer a selection of the best wines from all over spain and its different regions. the shop will be found close to the city center at the plaza callao. 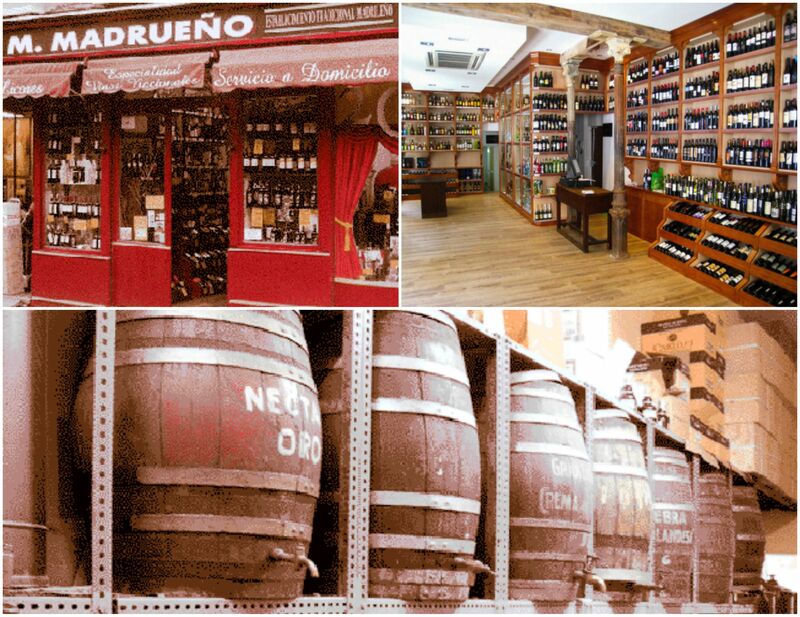 our recommendation is to visit the shop, be advised by someone working there and knowing about the best spanish wines. this small shop is dedicated since 1915 to the sale of chocolates and candies. 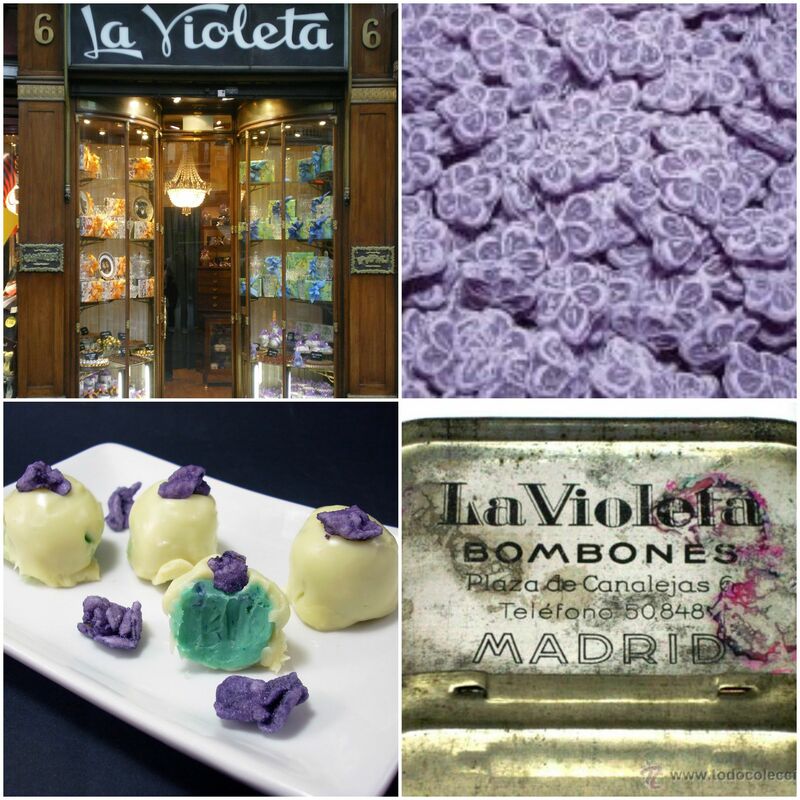 but this shop is famous in all madrid for its candy “violet”. this is a small flower-shapped candie and flavored with a violet aroma. one really nice and popular gift from madrid. our recommendation is to buy this beautiful, very unique candies. give your relatives a different taste than they ever had in their life. 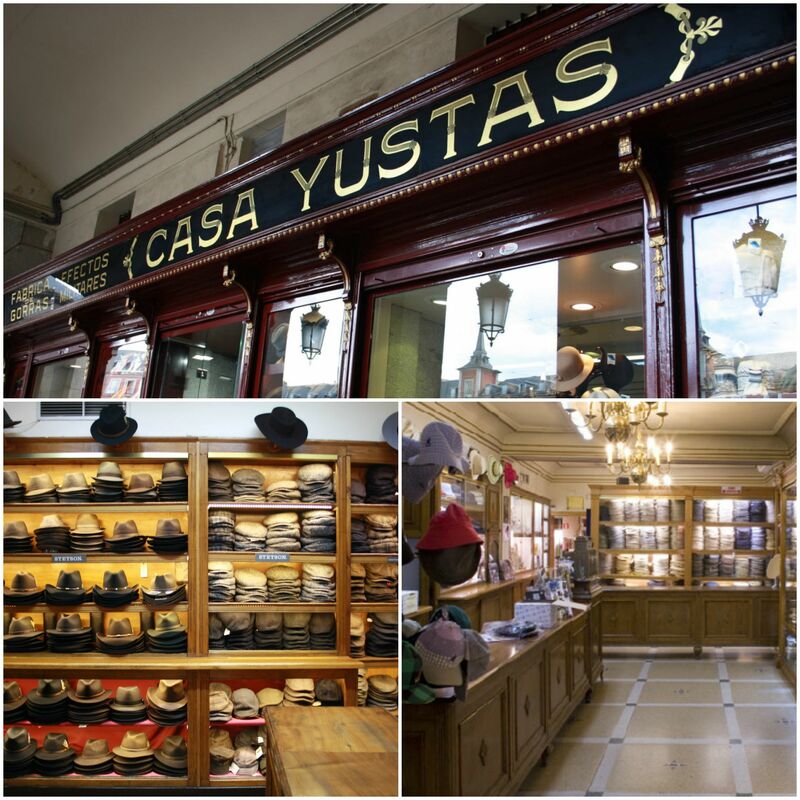 in the casa yustas you will find three floors where you can find all kinds of caps, berets and hats, in any size and price. the store has its own workshop where they produce there products handmade. besides in this store you can find military items, things for a small present or any decoration. we hope you have for your next visit now some ideas about what present you could get and which are not normal stuff as 85% of the visitors of madrid are buying. 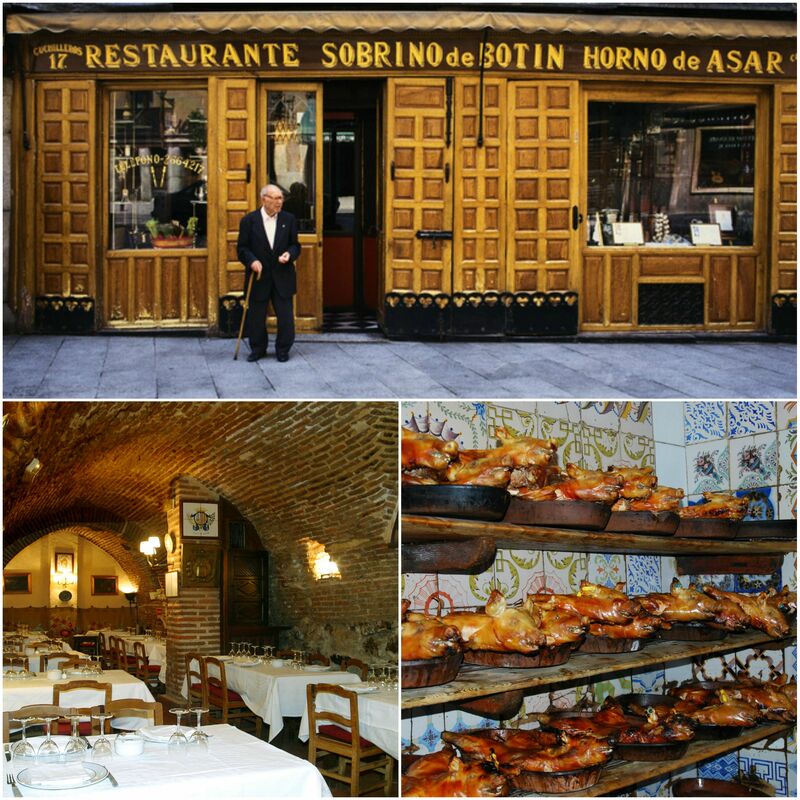 in madrid there is the possibilty of having lunch or dinner in the oldest restaurant of the world, the “el botín”. specialized in traditional spanish food the restaunt is a must-do if you come to visit the capital. the most famous dish is the piglet and the lamb. the mix of it old atmosphere, delicious food and best spanish wines is making this place to an unforgattable place. here is a map for you to see where the different shops are, as we can see all of them are located in the city center.